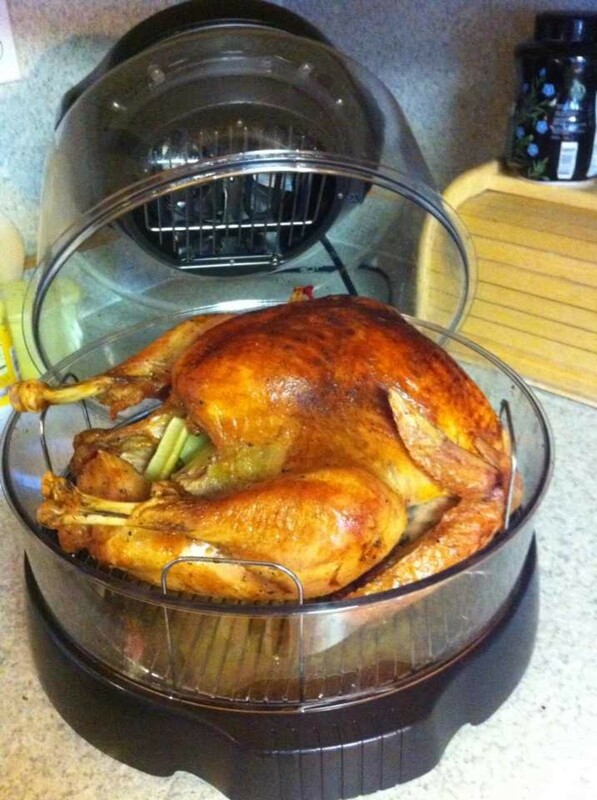 I Love Rachael Ray's Oven Lovin' Bakeware Set! Rachael Ray's cookware and bakeware have become very popular with consumers not only because of their fine quality but also because of the splash of sunshine they bring to the kitchen. 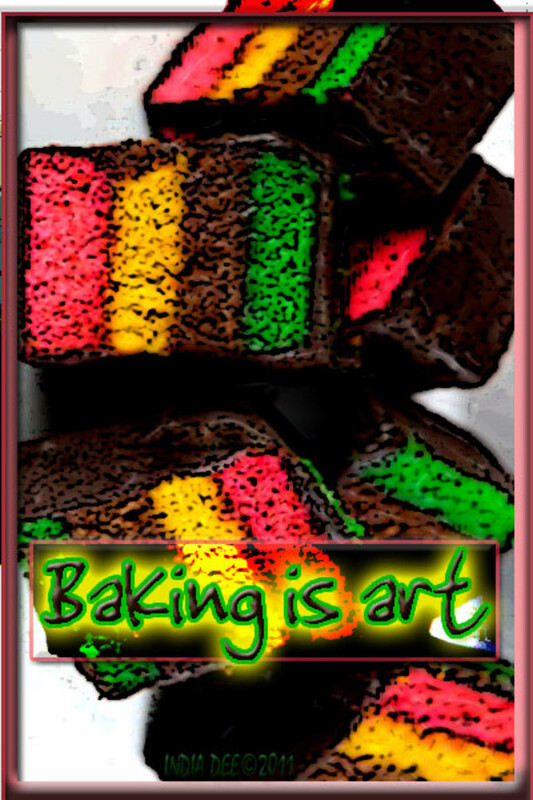 Her collections of colorful bakeware are designed with fun and functionality in mind. One of her most popular collections is the Rachael Ray Oven Lovin' 5-Piece Bakeware Set. When it comes to baking, cooking, serving or storing food, many people prefer nonstick bakeware. This type of bakeware allows you to reduce the amount of oil used when cooking and also makes it easy to clean the bakeware after use. Baking in nonstick bakeware like the 5-piece Rachael Ray Oven Lovin' Bakeware Set also makes it easy to take the food out of the pan. 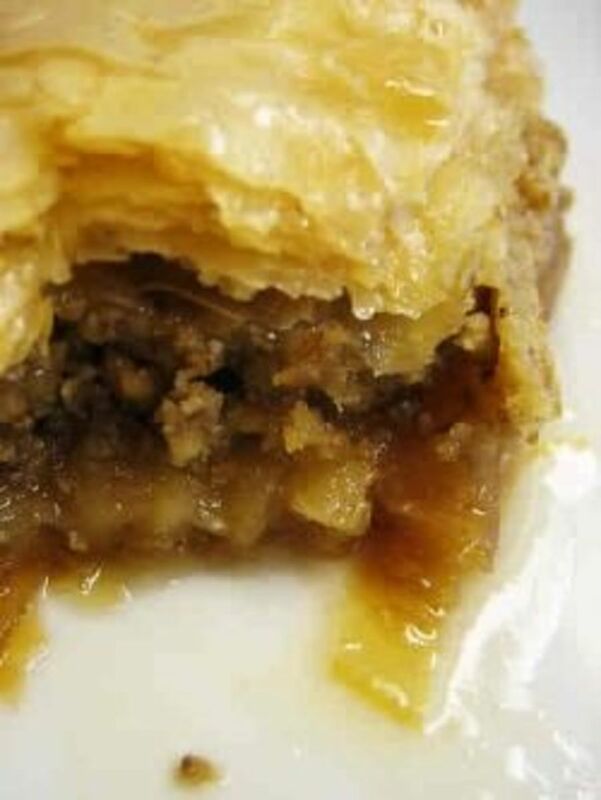 The food will literally slide out without the need for greasing or oiling the pans. You Can Get Rachael Ray's Bakeware Set at Amazon! - Check Out Their Great Price! The pieces included in the Rachael Ray Oven Lovin' 5-Piece Bakeware Set are the ones that are most commonly used for baking. The two 9-inch round pans are best for baking layer cakes while the 9 inch x 13 inch rectangular pan is the right size for most brownie mixes and recipes. You can also use it to make bar cookies. The bakeware set also comes with a 10 inch x 15 inch crispy sheet for baking batches of cookies or oven-baked fries. 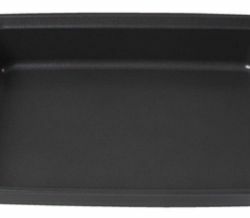 A deep rectangular pan measuring 9" by 5" is perfect for baking wholesome loaves of bread. 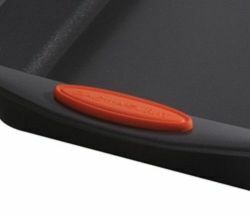 Like most Rachael Ray cookware and bakeware, the Oven Lovin' pans come with comfortable, bright orange silicone grips. As everyone knows, orange is Rachael's favorite color. The silicone grips make it easy to grip the pans by the handles. The Rachael Ray Oven Lovin' bakeware pans are sturdy and heavy duty. They will not bend or warp even in high heat. Take Care of Your Bakeware! Given a choice, people will use nonstick baking pans because they eliminate the hassle of dealing with foods that stick to the pan. Nonstick bakeware is also easier to clean. If you want your Rachael Ray Oven Lovin' Bakeware Set to last for a long time, you have to take good care of it. Avoid cooking at extremely high temperatures and use only non-metal utensils on the pans. You can use nylon or wooden utensils to help you remove the food from the pan. Never use abrasive cleaning materials and scouring pads, harsh detergents, or bleach on nonstick bakeware. Rachael Ray's nonstick bakeware is dishwasher-safe but hand washing is recommended to keep your pans in perfect condition. When storing your nonstick bakeware, avoid stacking or nesting them to prevent scratches on the nonstick coating. But if you have to, then it's best to put paper towels between the pans. This Bakeware Gets a Big "Thumbs-Up"! Customers say the 5-piece Rachael Ray Oven Lovin' Nonstick Bakeware Set is great for baking all kinds of foods, from desserts to savory dishes. It really is nonstick and food just slides out of the pan. 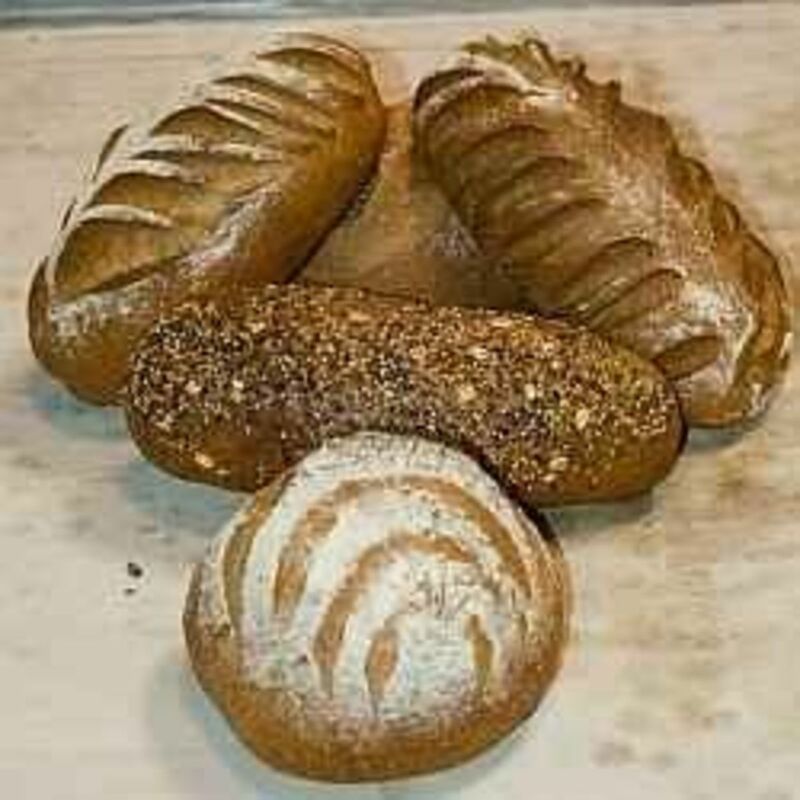 The quality of the bakeware is impressive, and there is no warping even at high temperature..
A number of reviewers confessed they were initially skeptical about the bakeware but were pleasantly surprised to discover how good it was. Many of them plan to buy more Rachael Ray nonstick pans. The only negative comment found was that the bottoms of these pans are very slippery because of the nonstick exterior. They tend to slip and slide inside the oven and could be dangerous. Other than that, there were no other issues mentioned. 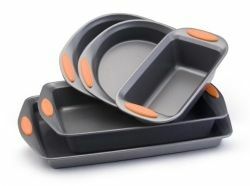 The Rachael Ray Oven Lovin' 5-Piece Bakeware Set is an excellent product and reasonably priced at about $40. Customers say they love the product and would recommend it to anyone. Have You Used Rachael Ray's Bakeware? - Share Your Experience With Us! I would love to own Rachael Ray's bakeware. I like her show.